soil stack. From connections to the underground drainage all the way up to vent terminals and air admittance valves on the top. 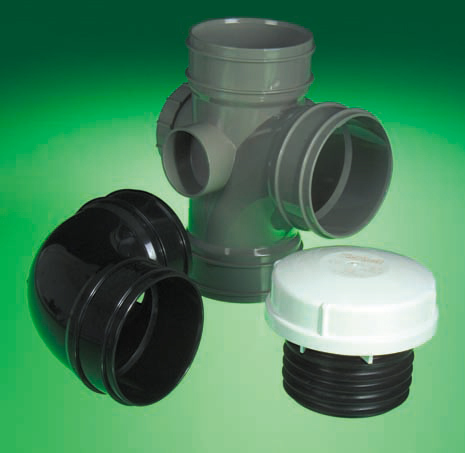 With a new range now offering a large selection of soil fittings in white it is now possible to make a complete soil pipe stack in any of the three colours of White, Black or Grey and the Cast Iron Effect system.